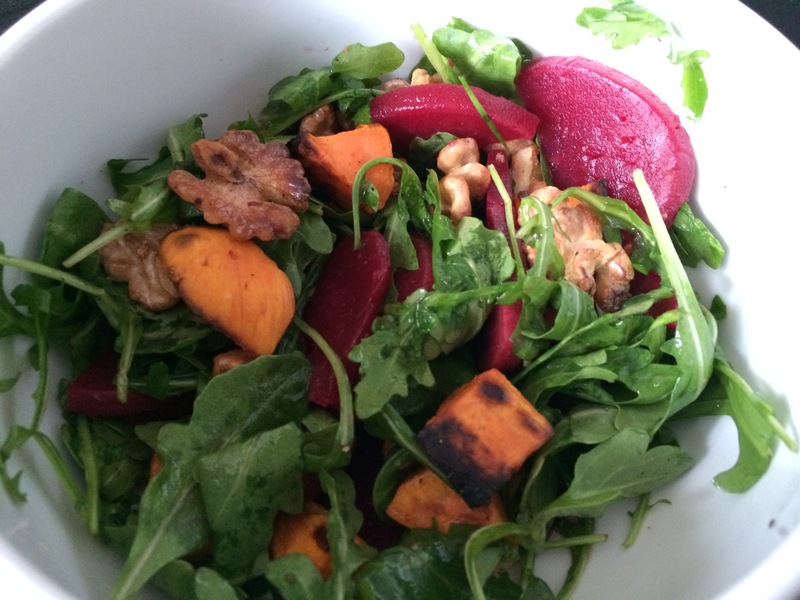 Warm Spring Salad – Damn, I Can Make That! This entry was posted in Sultry Salads and tagged apple cider vinegar, arugula, beets, salad, spring, sweet potato, vegan, walnuts. Bookmark the permalink.